Thanks to Elementor WooCommerce Builder. you can create a Single Product Template for Woocommerce, also the design customization is done right from the Elementor editor. the template will be apply on all your products, as well as for specific categories or other conditions. Learn more here!. Briefcase Elementor Widget is totally compatible, you can use any Widget or Woocommerce Dynamic Field Widget inside the Single Product Template. 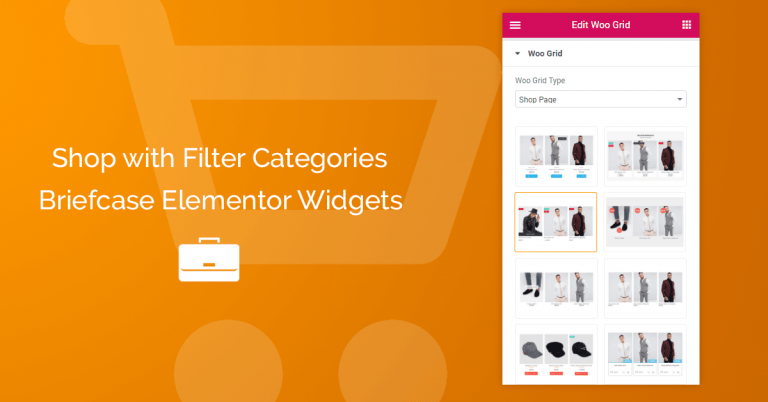 The Woocommerce Dynamic Field Widget from Briefcase Elementor Widgets has many additional features to improve and extend your customization, also you will able stop using some plugin. Lets go and see how it works. Download and install BriefcaseWp Extras plugin (Optional). Download Here! Create a Single Product Template. Change and customize with your own style (color, fonts, etc), or just use it. 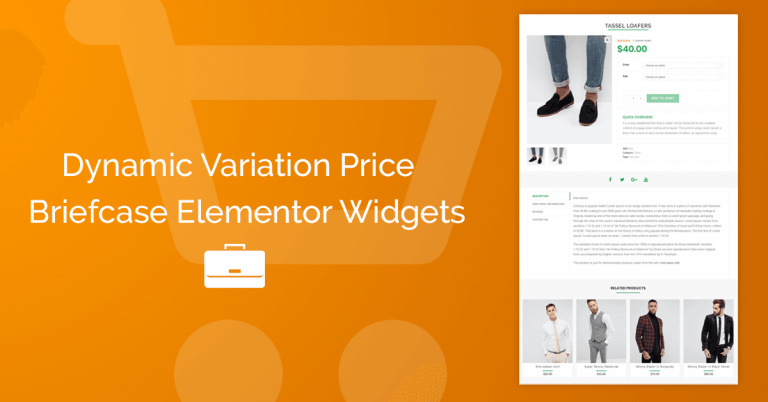 -You can use the Woocommerce Elementor widgets and the Dynamic Field from Briefcase Elementor Widgets together, find your style. -We recommend use the Woo Grid Widget to create a related product section if you want custom style on it. Do you want to see a demo single product template? Create Beatiful Woocommerce Custom Single Product Page Template. Previous PostHow to use the Woo Grid with BriefcaseWP Extras Image Control.